Firm Overview Laurence J. Cutler Esq. Laurence J. Cutler has been involved in virtually every activity in which a New Jersey matrimonial lawyer could be involved over the span of his more than four decades of practice exclusively limited to matrimonial law and related matters. He has been a chairman of the Family Law Section of the New Jersey State Bar Association; and the president of the New Jersey Chapter of the American Academy of Matrimonial Lawyers, and a founding fellow of the Chapter. He was also a founding fellow of the International Academy of Matrimonial Lawyers; a founding diplomat of the American College of Family Trial Lawyers; and a founding affiliate of the Matrimonial Lawyers Alliance, and currently, is it's director. Mr. Cutler has been trained by the American Academy of Matrimonial Lawyers as a Matrimonial Mediator and a Matrimonial Arbitrator and has trained other lawyers in Matrimonial Arbitration for the Academy. He has been a member of five New Jersey Supreme Court Committees, and is presently a member of the Supreme Court's Committee on Family Law Arbitration. He has been designated by the New Jersey Supreme Court as a Certified Matrimonial Attorney. He is also a Master in the New Jersey Family Law Inns of Court. Mr. Cutler is the 1994 recipient of the prestigious Saul Tishler Award of the Family Law Section for his contributions to the advancement of Family Law in the State of New Jersey, and the 2002 recipient of the coveted Alfred C. Clapp Award of the New Jersey Institute for Continuing Legal Education for his outstanding contributions and his ongoing commitment to the advancement of continuing legal education for the New Jersey Bench and Bar. Mr. Cutler has been included in the prestigious designation of "The Best Lawyers in America*” list by Best Lawyers for many years. He has been selected for inclusion in the New Jersey Super Lawyers* list in the New Jersey Monthly Magazine and Law & Politics Magazine. 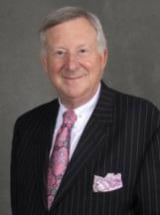 Mr. Cutler has written and taught extensively, most notably as an Adjunct Professor of Law at Seton Hall Law School, and as co-author of New Jersey Family Law Practice, a multi-volume treatise used by virtually every family law judge and lawyer in New Jersey. Mr. Cutler is a court-authorized mediator of family law matters; an arbitrator of family law matters; and a mediator/arbitrator of aviation matters. Best Lawyers is the oldest and most respected peer-review publication in the legal profession. A listing in Best Lawyers is widely regarded by both clients and legal professionals as a significant honor, conferred on a lawyer by his or her peers. For more than three decades, Best Lawyers lists have earned the respect of the profession, the media, and the public, as the most reliable, unbiased source of legal referrals anywhere. Best Lawyers is conferred by Woodward/White, Inc.. No aspect of this has been approved by the New Jersey Supreme Court. Our lists of outstanding attorneys are compiled by conducting exhaustive peer-review surveys in which tens of thousands of leading lawyers confidentially evaluate their professional peers. If the votes for an attorney are positive enough for inclusion in Best Lawyers, that attorney must maintain those votes in subsequent polls to remain on the list for each edition. Lawyers are not permitted to pay any fee to participate in or be included on our lists. http://www.martindale.com/Products_and_Services/The_Bar_Register_of_Preeminent_Lawyers.aspx No aspect of this has been approved by the New Jersey Supreme Court. Frequent Flyer Points: Are they Subject to Equitable Distribution? Uncovering Confidential E-Mail: Is it Worth the Effort? Reimbursement Alimony: How Much Is That Piece of Paper Worth? Marital Fault and Alimony: A Shifting Paradigm? How 'Bout Those Broncos ! Social Networking- The Future of Evidence in Matrimonial Litigation? Are Unallocated Temporary Support Orders Tax Deductible? (co-authored with William L. Laufer, Esq.